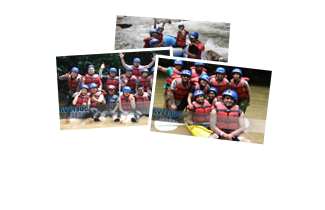 Truth be told, our own local company, Traverse Tours Sdn Bhd is one of the best white water rafting specialist in the region, if not the continent. 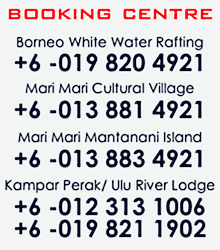 Traverse Tours Sdn Bhd or more fondly known as Riverbug is a local company founded by Mr. Dares Saham in 1995. After 12 years of its establishment, it now has the most experienced white water rafting Guides in the field. As of 2008, Riverbug has stepped up and got its crew internationally certified by the IRF. IRF is short for International Rafting Federation, an assembly of national associations and organizations established by experts in the rafting arena. With membership from all over the globe, including Africa, Australasia, Europe, North America, and Latin America, its goal is to armoniously develop, organize and assure the future of rafting by certifying River Guides. On 16th April ?26th April 2008, Riverbug organized an assessment expedition in which the IRF assessor Mr. Massimo Desiati assessed the Riverbug guides that were held in Kiulu River (Grade I-II), Padas River (Grade III-IV), Malangkap (Grade I - II), and Kampar River (Grade I-III) rivers to test the skills of the guides. With its new internationally acknowledged crew, the leading white water rafting operator in the country has outdone itself and is a few steps ahead of the other companies, yet again. RIVERBUG is confident that more tourists, Malaysians especially, would be persuaded to "paddle or die" with them. Rafting with the Riverbug crew would now definitely be more adventurous, prestigious and fun! All that without compromising the rafter's safety!